At one point I made a rare ten-card slamdown, when I threw a joker on Tom (forcing him to draw five cards), in time to catch Abby before she declared “last card” (Uno), which forced her to draw five cards. At another point I had so many cards in my hand that Abby burst into laughter I hadn’t heard from her in months. Despite that and the fact that at one point I held both jokers and three twos, I still couldn’t close the deal, with Abby winning the hour-long game on a lowly three of clubs. 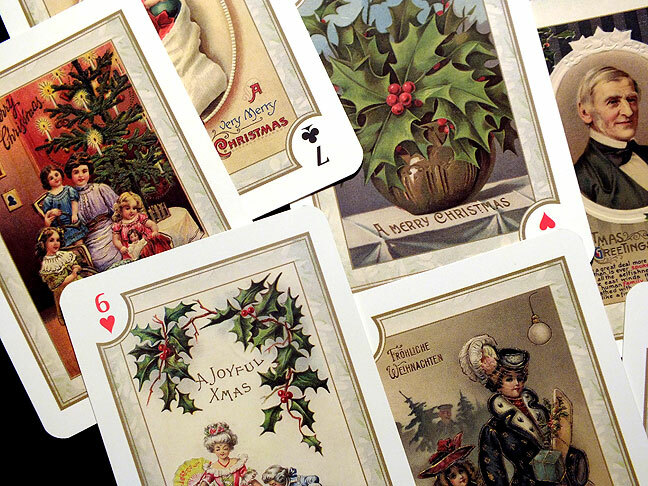 Maybe the Christmas playing cards distracted me more that I realized.